Taking your website offline is rarely welcomed by the marcomms team. sometimes you have go do it. 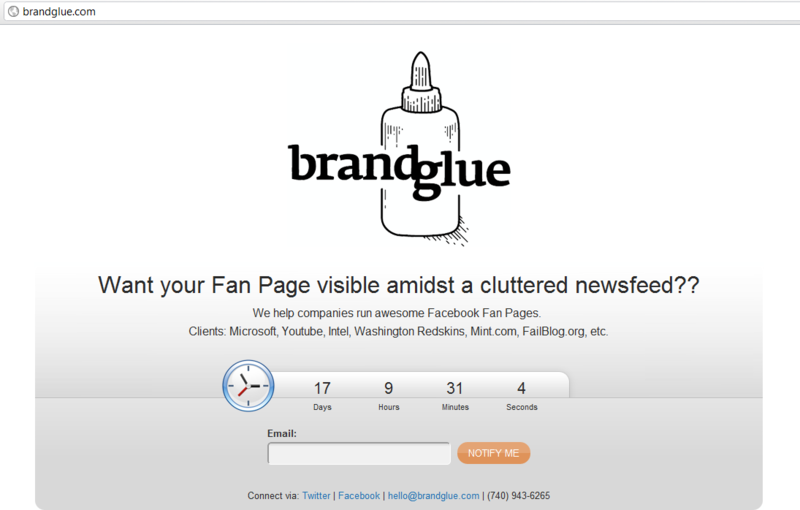 Brand Glue did a great job of making a strong message come through their holding page. In fact, since I took this screen shot, the timer doesn’t seem to have ‘counted down’ any more…. wonder if it’s really a permanent thing. Tho they have added an article below it about their newsfeed optimization service. in any event, don’t allow a 404 redirect to show up if you can avoid it. Plus, having a ‘timer’ on the page keeps the focus pressure on the team building the new website.